When you drive with us, you could make up to $300 per day with planned non-emergency healthcare routes. Unlike traditional taxi driving, when you sign up for our healthcare routes you are provided pre-set trips throughout the day. So you never need to worry about hustling for trips. To start making up to $300 per day, click here and sign up to drive. We will be in touch with you shortly. $300 reasons why you should drive Rideyellow! 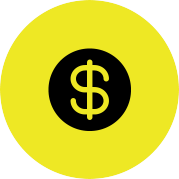 Drive with RideYellow and earn up to $300 dollars daily. With available healthcare routes that are sent to you the day before. These preplanned routes are non-emergency healthcare routes that work around your schedule. Get paid WEEKLY in fares by shuttling passengers around town to and from their appointments. Becoming a driver is an easy way to earn cash on your own time setting your own schedule. The more you drive, the more you can potentially earn. 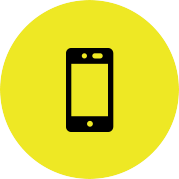 Our passengers unlike our competitors can request a ride with us through a variety of ways: phone orders, street hails, and, of course, Rideyellow matches our drivers with passengers who request rides through our smartphone app, and passengers pay automatically through the app. With the advent of rideshare companies like Uber and Lyft, for-hire ground transportation is rapidly changing and is making news headlines on a daily basis. Our dedicated team is developing innovative business models that offer unique solutions to consumers and businesses alike. Whether you’re coming to us to be a full-time professional driver driving or a part-time driver who’s covering monthly bills or funding your dreams, by joining us, as a Driver you will have the unique opportunity to step into the role of being your own BOSS while helping us define our success across LA County and beyond. Clean Criminal Record and Driving History. Get pre-planned trips with our healthcare trips and make GUARANTEED MONEY. Flexible Schedule: Make your own schedule as a contractor– work at any time day or night. Signing up is easy. A car is provided for you to drive. Fill out the Sign Up To Drive contact form at rideyellow.com/driver and we will be in touch shortly. Simply enter your name, phone number, and email address. We look forward to working with you! Who may apply to drive? To be eligible to drive, you must be at least 21 years old, have a valid driver’s license. The steps to becoming a driver include a review of your H-6 form (driving record form from the DMV), a fingerprint background check, a drug test, and a one-day course on effective driving. You’ll earn what you make as an independent contractor. You will be paid in cash directly from customers, and receive weekly disbursements for all credit card and app trips. As an independent contractor with RideYellow, we offer weekly vehicle lease options for full-time drivers or day or night ‘buddy’ leases. What to expect from driving a taxi? Driving a taxi can can bring a lot of advantages, some of which you might not expect. Hours - As a taxi driver, you are free to create your own schedule that fits your lifestyle. Ways to earn - Not only are you elligable for the traditional means of payment, but you also get 100% of your tips. According to Los Angeles study a taxi driver can make $46,000 a year, however, drivers that are honest, polite and good at driving tend to make more. Trips - You are free to promote yourself as an independent contractor, meaning that you can generate your own clientelle. Your customers can call you directly for rides, instead of calling us first. Programs - As a taxi driver for one of our many fleets around the Los Angeles area, you get the advantages of getting more trips through our programs like, School Run, Logisticare, Dial-a-Ride and Access. Do you provide the car? Yes we provide the car for you to drive. The problem with driving your own car is that you actually earn less when you factor in depreciation. The more miles you drive means the more your car needs to be serviced and fixed. With one of our cars you will be guaranteed a fuel efficient car that is fully functional and serviced.